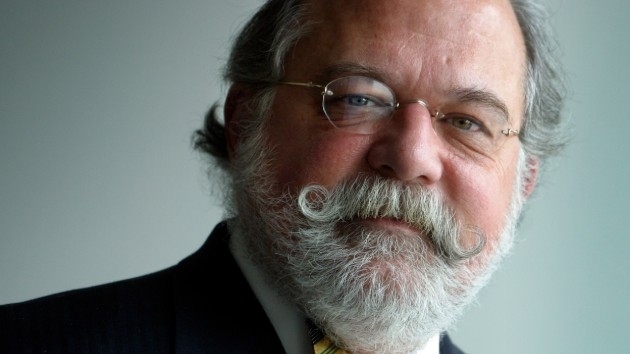 (WASHINGTON) — Ty Cobb, the veteran Washington attorney who represented the White House as special counsel Robert Mueller ramped up his investigation into Russian meddling, said he considers the man leading the probe “an American hero” and does not share President Donald Trump’s view that the Russia inquiry is a politically motivated hoax. But as Mueller prepares to convey his findings to the U.S. Attorney General, Cobb maintains a belief that his report will spare the president from any serious political harm. Cobb said he believes Mueller has already revealed the bulk of the findings that the investigation will produce through the sentencing memos and “speaking indictments” issued against a group of 34 defendants that include Russian hackers and former Trump campaign chairman Paul Manafort. A so-called speaking indictment sets forth more contextual details on a case than is required by law. The indictment against the Russian hackers was “highly detailed,” he said. “And there’s no link to Trump or the campaign. The same thing with Manafort — they just filed an 800-page sentencing memorandum, and in 800 pages there’s no reference to collusion,” Cobb said, referring to Manafort, who was convicted last year of tax and bank fraud charges and pleaded guilty in a separate case to conspiracy charges brought by Mueller as part of his probe. Cobb, 68 — a distant relative of the Hall of Fame baseball player with the same name — headed the criminal division of the U.S. Attorney’s office in Baltimore before spending decades in private practice. He joined the White House legal team six months into Trump’s presidency. Unlike some of the other attorneys hired to grapple with the Mueller probe, Cobb’s client was not the president, but “the presidency,” which he considered a subtle but important distinction. “My legal obligations were to the institution,” he said. In that role, he said he often endorsed a different strategy than more combative lawyers in Trump’s corner. And over time, he said his view of the probe has diverged from some of his former colleagues on the case. “Yeah. I don’t share that view,” Cobb said. “I think Bob Mueller’s an American hero … even though he came from an, arguably, privileged background, he has a backbone of steel. He walked into a firefight in Vietnam to pull out one of his injured colleagues and was appropriately honored for that. I’ve known him for 30 years as a prosecutor and a friend. And I think the world of Bob Mueller. He is a very deliberate guy. But he’s also a class act. And a very justice-oriented person,” Cobb said. Cobb said his experienced matched with the description offered by many of the people who have interacted with Mueller’s team. At times, Cobb clashed with his former White House colleagues over legal strategy, advocating dignified cooperation that led the administration to share thousands of documents with Mueller’s team and made officials available for interviews. But the team only was able to proceed with that strategy because Trump agreed with it, Cobb said. “I was the one that advised it. But the president did make the decision,” Cobb said. Those differing strategies ultimately drove a wedge between Cobb on one side, and on the other Dowd and Trump’s personal attorney Rudy Giuliani — as the president gravitated towards a more combative approach. Cobb left the White House after ten months. Cobb said Trump’s approach shifted in part because he was growing increasingly frustrated by the way the investigation was eating into his presidency, particularly as he sought to pursue a foreign policy agenda. For a time, the instinct of the president’s lawyers was to try and persuade him that the investigations would soon be over, Cobb said. Cobb had a first-hand view at some of the most contentious aspects of the Trump White House. Within minutes of his swearing in, he said, the president dismissed his chief of staff and fired his communications director. “So I was a footnote on day one,” he laughed. Cobb said he is not certain that Trump has been well served by the chaos around him. “It would be disingenuous to suggest that the president doesn’t need a better [human resources] team and that some of the people that have been chosen and [been] put in significant roles have not performed as he may have hoped — or as voters may have hoped,” he said. Cobb believes Trump will need to brace himself as the chaotic turbulence of investigations spirals towards Capitol Hill. “All these people are hell bent on issuing a lot of subpoenas to get to the administration and perpetuate this investigation,” he said.